The service product line includes installation & startup, upgrades of mechanical equipment and automation, technical assistance for repairing and overhauling, training, performance evaluation & long term service agreement, integrated maintenance management & diagnostic solutions and systems, spare parts. 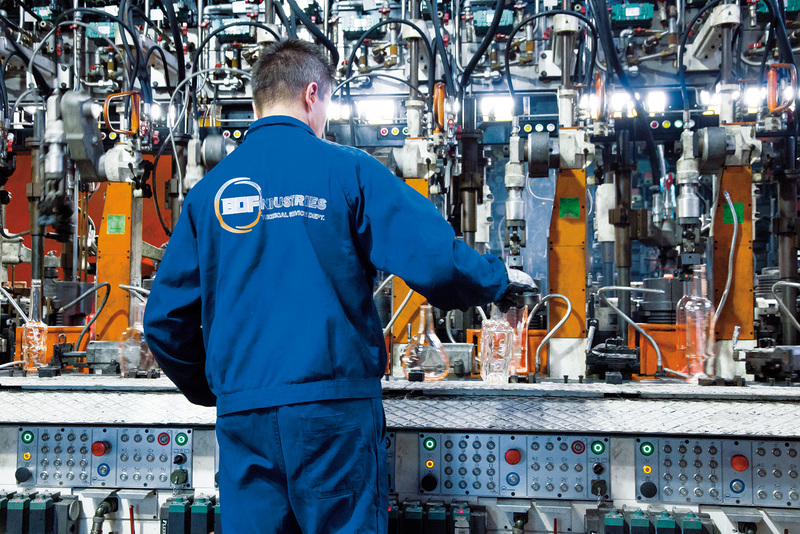 The BDF Industries service team supports the strategic goals of glass factory by stimulating growth in core skills and providing personalized programs for the glass industry. The BDF Industries Learning Center in Italy and strategically located Service Centers offer a wide range of programs in technical courses. Our technical courses are presented by field-tested experts combining understanding of theory and practical experience. The quality training provided is a prerequisite to improve the skills of operating and maintenance personnel, so as to assure knowledge, safety and higher equipment availability.